This is a combination of several previous posts from my old blogspot blog. 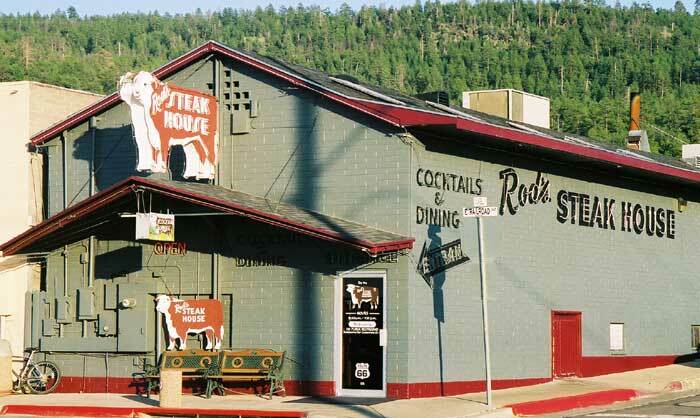 It is part of a trip from Joplin, MO to Needles, CA with side-trips to Phoenix, AZ and Las Vegas, NV. Much of the trip was on Route 66, though I didn't shoot too many pictures. As you drive North on Highway 17 out of Phoenix toward Flagstaff and Route 66, the Saguaro cacti thin out until there are no more. I always miss them. We stopped in Sedona, as shown in another post called May 18 and 23, 2005: Sedona, AZ, before continuing north to Flagstaff. Old Route 66 West of Flagstaff in not in great shape, in fact, its got some major craters in it and trees have grown right up to it's edge. But we wanted to drive a bit of it, nevertheless. 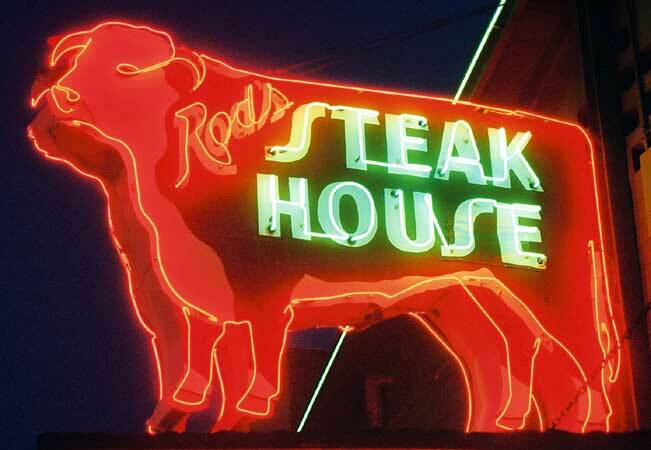 The West was won...or lost, depending on your perspective, with the help of the iron horse. 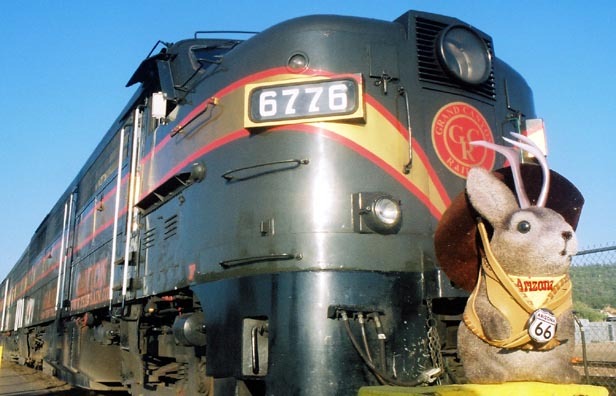 This Alco locomotive was made long after that, but is still a classic on the Grand Canyon Railway in Williams, AZ. 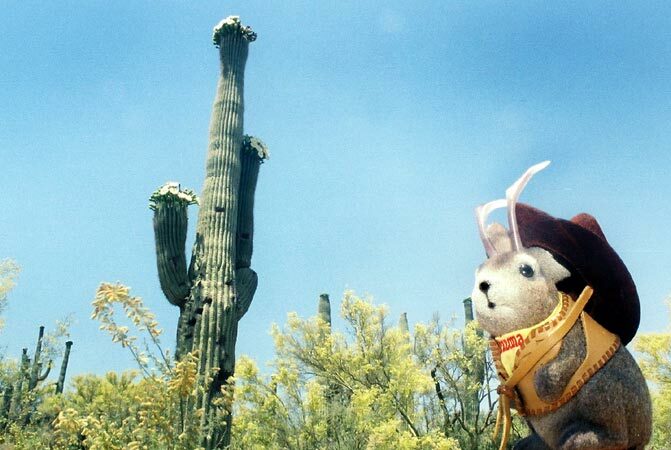 Ace Jackalope gazes West to his next destination. 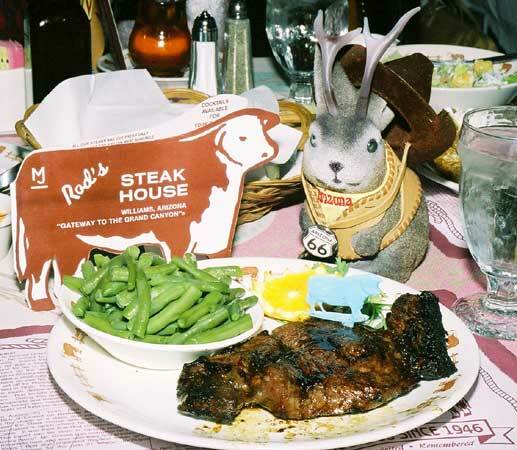 As it turns out, his next destination was Rod's Steak House, a Rt66 institution since 1946. 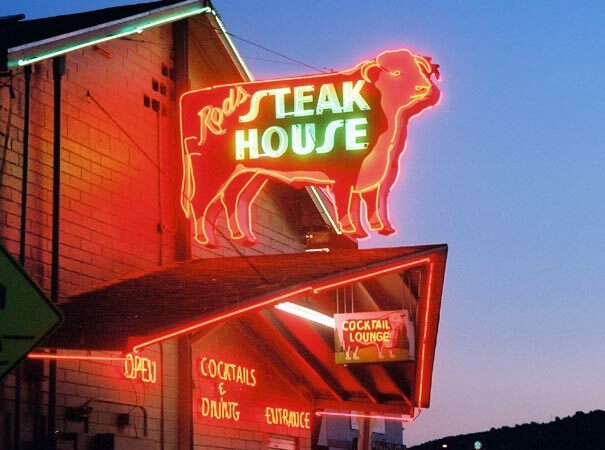 This trip was largely fueled by steak. 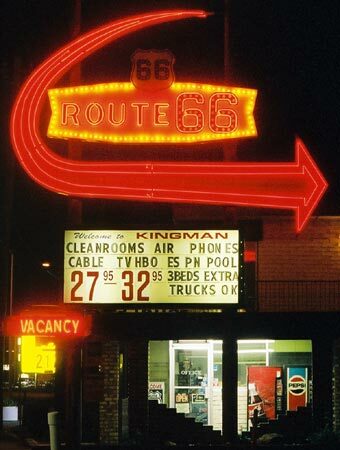 We settled in Kingman, AZ for the night...not at the Route 66 Motel, but it does have an iconic sign.